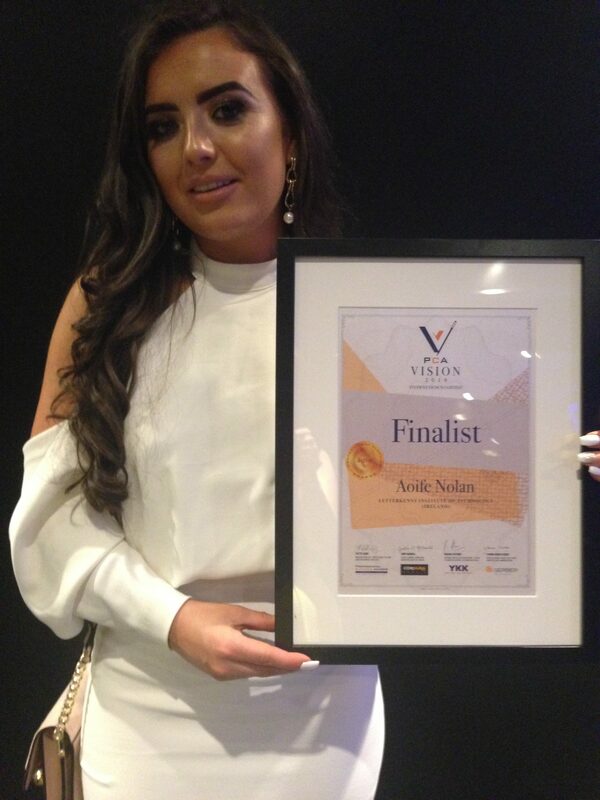 Aoife Nolan, a second year student of the Bachelor of Arts in Fashion with Promotion at LYIT, took workwear to the next level for an appearance at an international showcase in London. Aoife, who is from Drimnagh, Co Dublin, was one of 10 shortlisted designers from hundreds submitted to the Professional Clothing Awards. The finals were held in the Park Plaza in London on June 20th. It was a great networking night for Aoife to meet people in the fashion industry, including a designer at Vivienne Westwood. 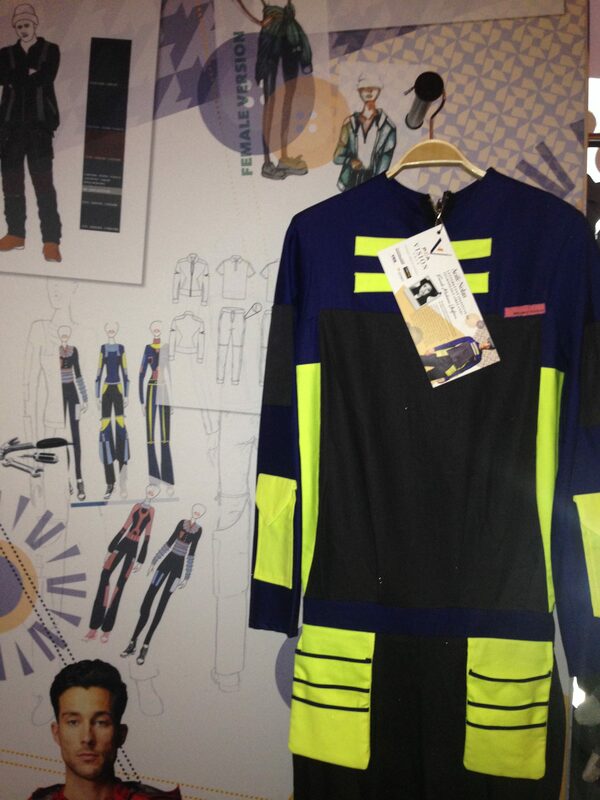 The designer was one of the judges, and it was her that insisted that Aoife’s design goes through in the competition. Aoife discussed possible internship opportunities with her, which was a conversation that was just as valuable as winning. The shortlisted students were from University of Northampton, University of Bedforshire, De Monfort University, Manchester Fashion Institute, Faculadade De Aquitetura Da Universidade De Lisboa – Portugal. Aoife’s female mechanic uniform worked with colour blocking and remained highly functional without compromising on good design. She researched hardwearing fabrics that were functional for mechanics including chemical resistance and flameproof finishes. Aoife created a safe and stylish suit inspired by engines in recognition of the increase in the number of women in the mechanic industry. For those considering a career in fashion, why not check out the BA in Fashion with Promotion (LY447) online at www.lyit.ie.